Looking to obtain an FAA required Remote Pilot Certificate? AUVSI has partnered with the King Schools to deliver a prep course. By taking our Online Drone Pilot License Test Prep Course you will be prepared to pass the FAA Unmanned Aircraft Systems (UAS) Drone Knowledge Test—the required exam to get a Remote Pilot Certificate. AUVSI Members, please log-in and refresh this page to access your 20% discounted rate! Interested in AUVSI Membership? Check us out. Do I need a Remote Pilot Certificate? If you are planning to fly your UAS/drone to make money, you need it! The small UAS rule, also known as Part 107, went into effect on Aug. 29, 2016. 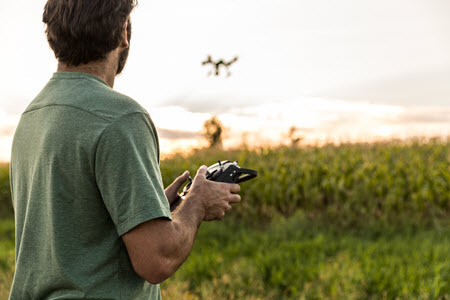 Among the regulatory requirements, commercial UAS operators must pass an aeronautical knowledge test and obtain a Remote Pilot Certificate with a small UAS rating. The certificate must be renewed every two years. 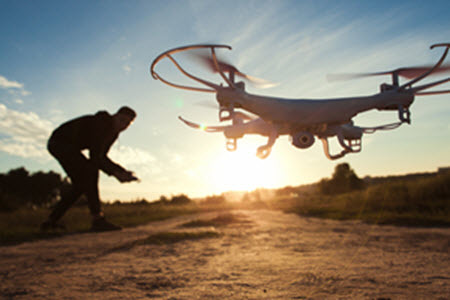 The online Drone Pilot License Test Prep Course is designed to provide operators with information about the test, as well as flying safely and responsibly in the National Airspace System. For more information, visit KnowBeforeYouFly.org. King Schools is a leader in FAA test preparation, providing video courses to pilots at all levels for over four decades. Hundreds of thousands of people have relied on King Schools courses to pass their FAA tests, and its latest offering is designed to extend the same caliber of test preparation materials to commercial UAS operators.